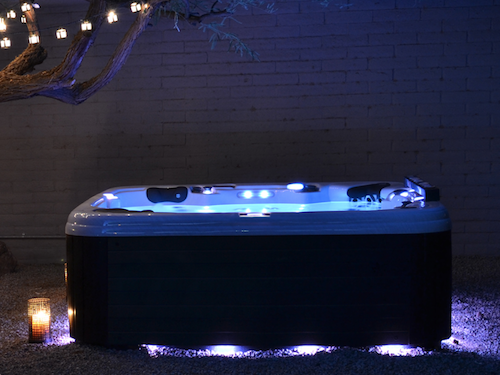 The Mystique is more than just a hot tub, it’s much, much more! 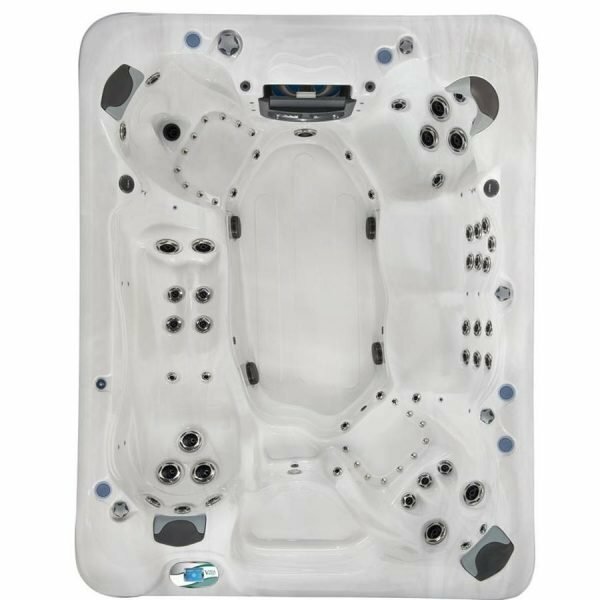 Yes you could relax in one of the six powerful hydrotherapy seats and soak away those aches and pains. Your muscles could benefit from the 57 massage jets strategically positioned to stimulate blood flow and re-energise your whole body. 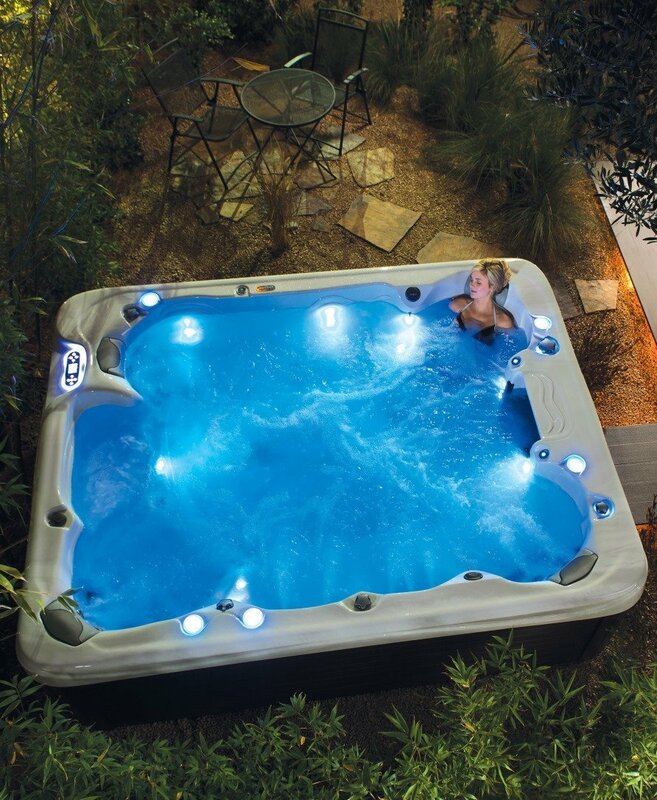 Or stretch-out in the full length lounger with built in wave system. This seat massages your whole body as jet after jet pulse up and down in a wave of pure therapy. Or you could use it as an exercise regime using the counter current to improve muscle toning and general fitness. The exercise kit provided gives an assortment of upper and lower body stretches. There are bungee hooks above the water level to promote arm, shoulder and chest strengthening. Plus bungee hooks below the water level to improve leg and thigh resistance. Perfect for those recovering from surgery or with recurring joint issues that would benefit from this low impact aerobic form of exercise. But that’s not all! Why not utilise the swim jet to teach children how to swim. The perfect environment to learn in. The grab bar is ideally positioned above the swim jet and allows the swimmer to stretch out and practice certain leg kicks. This feature is great for building confidence in a safer environment and the kids will love it! 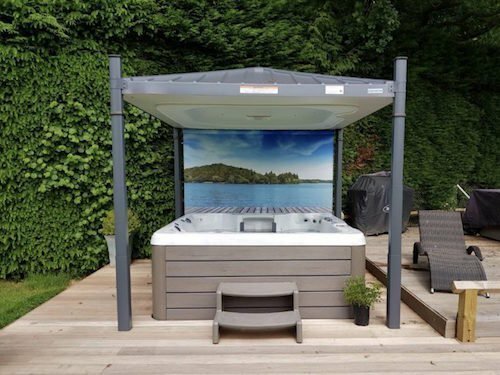 Measuring 229cm x 290cm this is a larger than average hot tub with the benefit of individual space especially when fully utilised. Share This Information, You Choose Where! How Good Is Your Hot Tub Insulation?